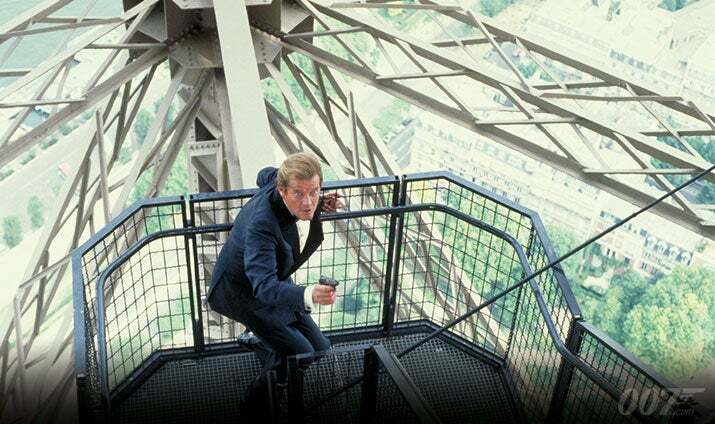 A VIEW TO A KILL (1985), the 14th EON 007 adventure, proved to be Roger Moore’s last appearance as James Bond. Deftly mixing humour and action, it typified his genial approach to the role and made for a fitting goodbye to the series. The title itself comes from Ian Fleming’s 1960 short story collection ‘For Your Eyes Only’. Screenwriters Richard Maibaum and Michael G. Wilson developed their own story. Wilson came up with the idea of using Silicon Valley as a backdrop and the pair hatched a plot where Bond is out to thwart psychopathic industrialist Max Zorin attempting to destroy America’s high tech centre by flooding the San Andreas Fault so creating a double earthquake. Success would mean Zorin would gain complete monopoly over the lucrative microchip market. 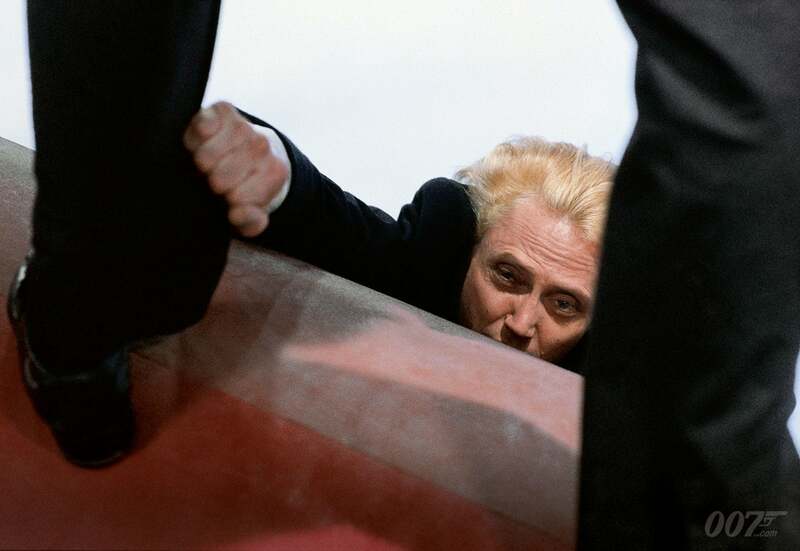 To play Max Zorin (originally named Zorn), the producers chose Christopher Walken, an Academy AwardÒ winner for THE DEER HUNTER. Tanya Roberts signed on to play geologist Stacey Sutton, the granddaughter of an oil tycoon whose company is taken over by Zorin. 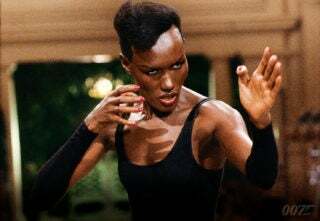 Model and singer Grace Jones was hired to play Zorin’s super-strong cohort May Day. The role of Sir Godfrey Tibbett, a horse trainer working undercover as Bond’s chauffeur, went to Patrick Macnee, best known as John Steed in TV series THE AVENGERS. A vast undertaking, the scope of the story demanded five film units working at various times in France, San Francisco, Iceland, Switzerland and the UK. In June 1984, the 007 Stage at Pinewood Studios burned down during the production of Ridley Scott’s LEGEND. EON productions set about rebuilding the stage but the delay meant production designer Peter Lamont’s set for Zorin’s mine could not be completed until the end of shooting. It took clever shuffling of schedules and locations to keep the production on track. Filming began in Paris in August 1984. To perfect May Day’s iconic jump from the Eiffel Tower, parachute/skydiving expert BJ Worth made 22 test jumps from a hot-air balloon. 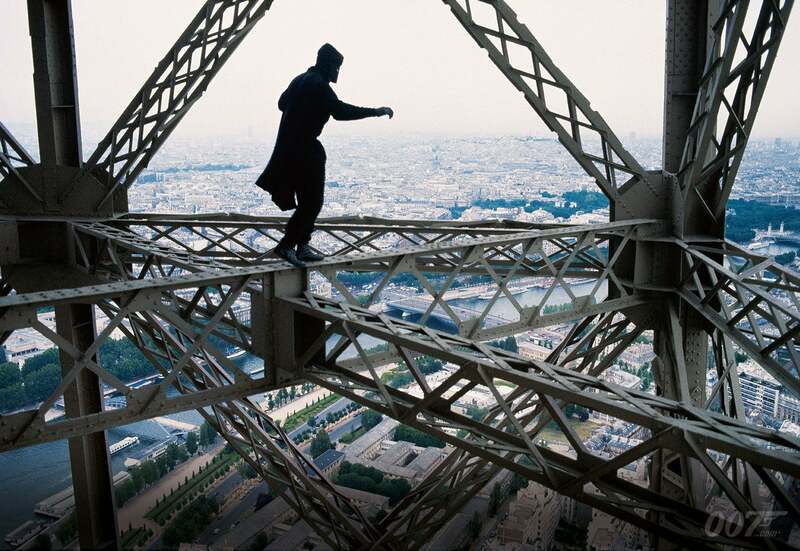 After lengthy negotiations, the French authorities approved the jump that looked in jeopardy when two daredevils jumped off the tower for fun. 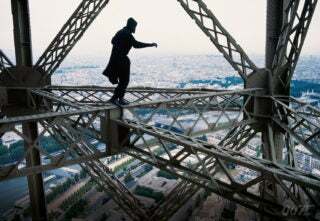 Yet the thrill-seekers served to prove the stunt could be performed safely. Worth pulled off the leap in one take captured by multiple cameras. The production moved to San Francisco, simulating a real fire at City Hall and shooting a fire truck chase over three weeks of night shooting. For the climactic Golden Gate Bridge action sequence, Martin Grace rehearsed stuntmen fighting on the main suspension tables. On Jan 7th 1985, the crew celebrated the re-opening of the 007 stage. Pinewood renamed the stage the Albert R. Broccoli 007 stage in honour of the producer’s long association with the studio and huge contribution to the British film industry. John Barry composed his tenth score for the series. John Taylor of pop-rock group Duran Duran asked Broccoli if the band could create the title song. Broccoli agreed and Duran Duran, collaborating with Barry, created the most successful Bond theme to date, hitting number one in the Billboard Hot 100 chart in the US and, helped by a tongue in cheek video directed by Godley & Creme, reaching number two in the UK. 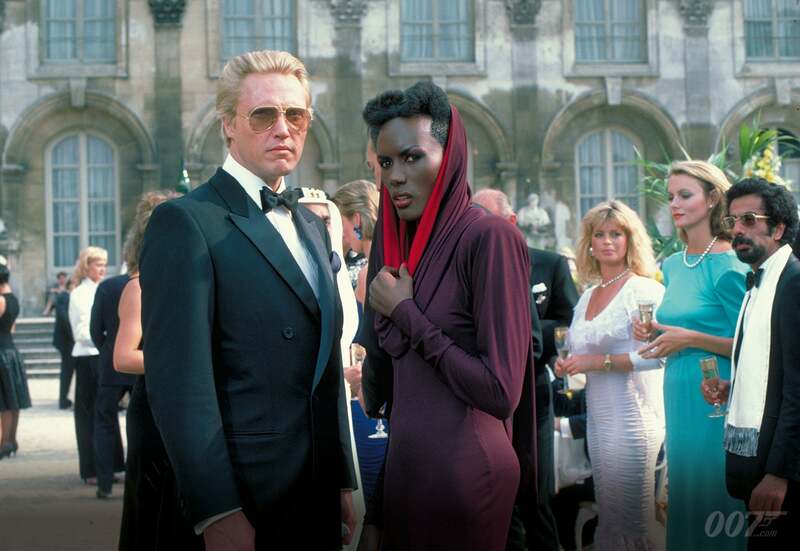 January 16th 1985 proved to be a momentous day in James Bond history. It marked the last day Roger Moore played James Bond on film.